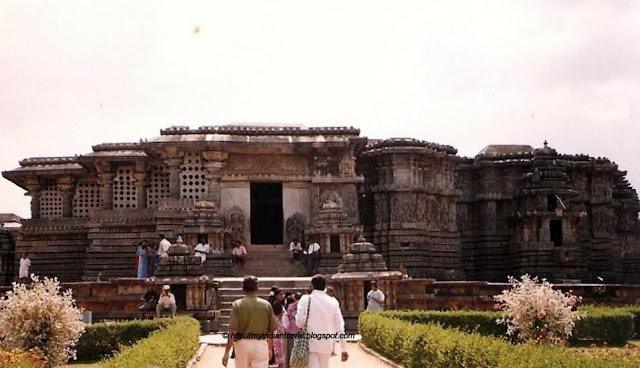 The Jain Temples of Halebid are the gems of 12th century. There are three Jain temples all constructed that are constructed inside the single complex by queen Shantaladevi. These temples are just a stones throw away from the famous Hoysaleswara Temple. I am always amazed about his architectural work and the decoration ! The sculptures etc ! so beautiful ! So nice seeing what you share. I enjoy it as would never know about it otherwise. Most interesting. Beautiful architecture - I love that it is preserved. Our dear friends last name is Jain and I learned a bit about Jain religion from a tour guide who took us around Agra. Is the temple in the second photo actually rather pinkish? Beautiful! I imagine this is amazing to visit. Have been there long back! They are gorgeous! Hoysala temple architecture -- just marvelous! !